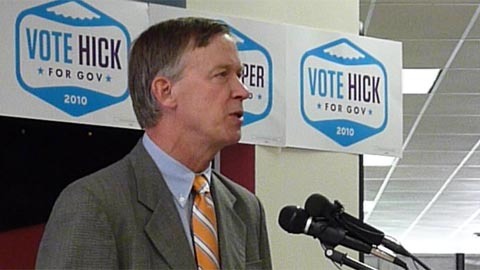 A radio ad playing in Colorado features Governor John Hickenlooper promoting the environmental safety of hydraulic fracturing, or “fracking,” the drilling process the U.S. Environmental Protection Agency found responsible for contaminating groundwater in Wyoming. 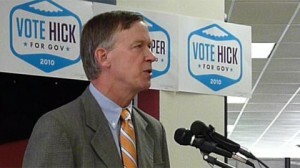 Hickenlooper made the ad for the Colorado Oil and Gas Association, the lobbying group for the oil and gas industry. In the ad, Hick claims that since 2008, “…we have not had one instance of groundwater contamination associated with drilling and hydraulic fracturing” in Colorado. Unfortunately, that claim is easy to verify as a lie. On September 13, 2011, an article ran in the Denver Post titled “Drilling spills rise in Colorado, but fines rare.” The article stated, “Colorado’s wave of gas and oil drilling is resulting in spills at the rate of seven every five days — releasing more than 2 million gallons this year of diesel, oil, drilling wastewater and chemicals that contaminated land and water.” In August, 2011, Kerr-McGee, a subsidiary of Andarko Petroleum, not once, but three times released cancer-causing benzene and other chemicals in spills that contaminated both land and water. Even a report (pdf) issued by the Colorado Oil and Gas Conservation Commission describes the August spill as “historic,” and acknowledges that it did in fact cause groundwater contamination. The report states the COGCC assessed over $1.6 million in penalties on the drilling industry “for violations associated with spills and releases” from drilling activities in Colorado.